Susquehanna analyst Bill Dreher estimated that Sears needs $1.2 billion this year and $1.4 billion in 2018 to stay afloat. 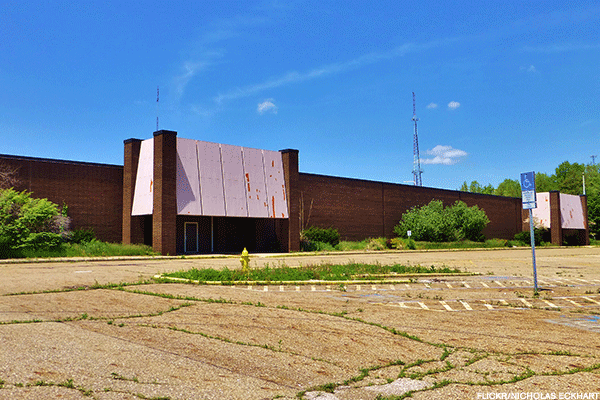 Sears Holdings Corp. (SHLD faces a perennial problem: it's low on cash. As of July 29, the end of its second fiscal quarter (reported Thursday, Aug. 24), Sears had $442 million in cash on hand, of which $320 is restricted. Sears also has $546 million in short-term borrowings, comprised of $216 million in revolver borrowings and $330 million of line of credit loans, and $191 million in availability on a revolving credit facility. That's including cash proceeds of about $160 million from asset sales, of which $25 million paid down a real estate loan and the remainder paid down revolver borrowings. The sale of its iconic Craftsman brand, worth up to $900 million, to Stanley Black & Decker Inc. (SWK - Get Report) , a July agreement to partner with Amazon.com Inc. (AMZN - Get Report) on Kenmore appliances and a licensing agreement for its Kenmore and DieHard brand announced earlier this week are all intended to staunch the bleeding. Sears is also attempting to sell its Home Services and Auto Centers businseses, as well as the Kenmore and DieHard brands. But Sears also is running out of assets to sell. A lifeline is in its hedgie CEO Edward Lampert, who owns 29.9% of the company's stock. His old hedge fund, ESL Investments Inc., holds another 19.1%. Lampert and ESL also own a big chunk of Sears' debt. If Sears declares bankruptcy, Lampert remains the company's principal creditor despite the loss of his and other shareholders' equity. ESL has no qualms about propping up Sears, its largest investment. On July 13, ESL handed Sears a fresh $200 million line of credit, carrying a maturity date of 151 days and a fixed annual interest rate of 9.75%. ESL has loaned Sears well over $1 billion over just the past three years, despite Sears' lackluster performance. ESL has also propped up Lampert's other experiments in financial engineering, including Sears and Kmart REIT Seritage Growth Properties (SRG - Get Report) . Lampert holds a 1.9% stake in Seritage, whose biggest individual shareholder is none other than Warren Buffett, at 7.2%. Lampert also owns 45.8% of another Sears spinoff, Lands' End Inc. (LE - Get Report) , and ESL holds an additional 19.2%. One bright spot came in Sears' reduced pension liabilities. In May, Sears annuitized $515 million in pension liabilities with MetLife Inc. (MET - Get Report) , which is now responsible for paying benefits to 51,000 Sears retirees. Beginning this month, MetLife will also pay pension benefits worth another $512 million to an additional 20,000 Sears retirees. The moves come a year after Sears entered into a five-year agreement with the Pension Benefit Guaranty Corporation (PBGC) agreeing to ring-fence assets to protect pensioners. Sears is released from the ring-fencing if it reports an 85% funded pension plan in November 2017 and 2018. Pension derisking is not uncommon: diaper maker Kimberly-Clark Corp. (KMB - Get Report) , for instance, transferred pension payment responsibilities to Prudential Financial Inc. (PRU - Get Report) and Massachusetts Mutual Life Insurance Co., reducing its projected pension obligation by $2.5 billion. For the quarter ending July 29, Sears reported a loss of $2.34 per share on sales of $4.365 billion, down 23% from last year.